If you’re looking to maximize your hard-earned airline miles by booking trips to multiple cities, or even countries, United MileagePlus is one of the best programs to do just that. The program allows for a longer stop in a city on the way to your destination, dubbed the Excursionist Perk, which lets passengers book a free one-way flight within a round-trip. Essentially, you can book three flights for the price of two if you do it correctly. A stop can be as short as 24 hours and as long as the calendar allows you to book. Although not as flexible as before, the option to stopover in one city on the way to another city can make for some interesting globetrotting opportunities. For such an itinerary to be possible, you have to book an international multi-city trip, and both the stopover and the destination must be in the same region as defined by United. Travel must begin and end in the same region, and the Excursionist Perk cannot be used in the region of origin. Got all that? Now, let’s take a look at some of the ways you can reach difficult-to-get-to islands by utilizing the Excursionist Perk. Six hundred miles west of the coast of Ecuador lies a chain of volcanic islands called the Galápagos Islands. The islands are known for their natural beauty as well as unique flora and fauna. It’s no wonder the destination is a must-see. However, it’s not the easiest, nor the cheapest, place to reach for many tourists. Baltra and San Cristóbal are the only two airports on the islands. Round-trip flights to either of those airports from Ecuador’s two largest cities, Qiuto and Guayaquil, cost in the neighborhood of $400, and that’s after you arrive in Ecuador. United’s Excursionist Perk and its free one-way option lets you book an itinerary originating in the United States and visit both Quito and the islands on Star Alliance partner Avianca. United requires 40,000 MileagePlus miles at the Saver level for a round-trip to the Northern South America region in economy class, or 70,000 miles in business. You can build the following itinerary: Houston–Baltra (20,000 miles), Baltra–Quito (0 miles) and Quito–Houston (20,000). You should be able to duplicate this itinerary from any U.S. city served by United and save a ton of cash. Micronesia is Oceania’s sub-region located in the western Pacific Ocean. The islands’ tropical climate and world-class diving are a major draw for this difficult-to-reach destination. Micronesia includes the Federated States of Micronesia, Palau, Kiribati, Marshall Islands, Nauru, Northern Mariana Islands, Guam and Wake Island. Interestingly enough, United Airlines serves many of the islands in Micronesia, and I’m using Japan as the starting point for this example. 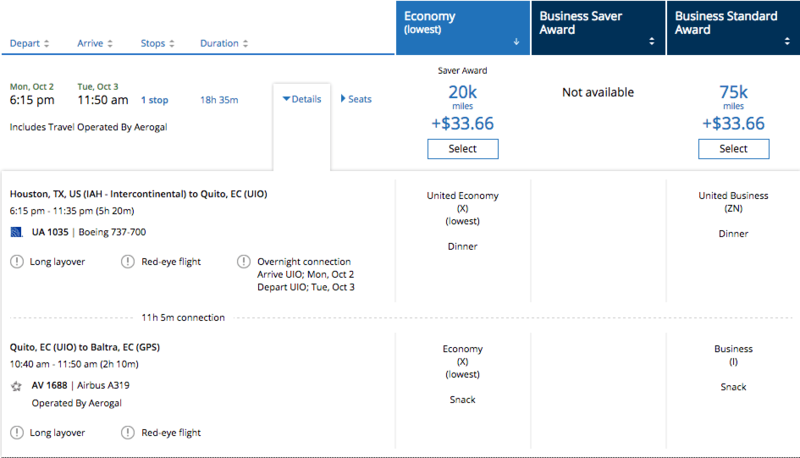 United asks for 25,000 MileagePlus miles for an economy round-trip at the Saver level and 50,000 for a business-class Saver ticket between Tokyo or Osaka and one of the islands. By using the Excursionist Perk, you can visit two islands for the price of one! You can fly Tokyo–Yap (12,500 miles), Yap–Palau (0 miles) and Palau–Osaka (12,500 miles). United also allows open-jaws on round-trip awards, which means your return doesn’t have to be your departure city, as long as they’re both in the same region. You can start your journey in Tokyo and return to Osaka and see even more of the world on the same ticket. Keep in mind that flights between islands are not operated daily, and you have to be flexible and be willing to spend a few days on each island. 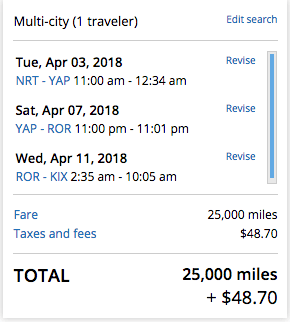 Of course, you’d have to get to Japan first for these low redemption levels to work, but you can get to Micronesia from the U.S. and back for 70,000 United miles in economy and 150,000 miles in business class. “Where the heck is Mauritius?” you might ask. Mauritius Island is located in the Indian Ocean, about 1,200 miles off the southeastern coast of Africa. The island is quickly becoming a popular travel destination where you can enjoy kayaking, golfing, mountain trekking and, of course, the beach. It isn’t particularly easy to travel there. You likely will have to fly via Europe or somewhere in Africa. The good news is that a number of Star Alliance airlines fly to Mauritius including Turkish Airlines, SunExpress Deutschland and South African Airways, to name a few. A roundtrip in economy class will set you back 80,000 miles, and business class will cost you 160,000 miles from the U.S. Since Mauritius is considered to be a part of the Central & Southern Africa region, you can bust out the Excursionist Perk and combine a trip there with a trip to South Africa, for example. You can go New York City–Johannesburg (40,000 miles), Johannesburg–Mauritius (0 miles) and Mauritius–Johannesburg (40,000 miles). When searching for availability, I recommend searching for one-ways first and then booking as a multi-city. United’s search engine is not perfect, and sometimes it glitches out when trying to piece together the final multi-city itinerary, even though all the segments are shown as available for booking separately. In that case, write down all your flight numbers and call the airline to help you book the award you want. Sure, nobody wants to spend hours on the phone, but if that’s what stands between you and the trip of your dreams, then so be it. As a reminder, the Excursionist Perk can be booked on round-trip international awards only. You cannot mix and match the regions, and you have to end your journey in the region you started it, but not necessarily the same city. As long as there’s availability and you follow the rules, the possibilities are endless. The good news is that Star Alliance is the largest airline alliance in the world, and United miles can get you almost anywhere.